ADHD: Why medication is so important!! “Decades of research have shown us that kids with untreated ADHD (not to speak of anxiety, depression and other very treatable conditions) struggle just to become productive citizens.” -Steven M. S. Kurtz, Ph.D, Child Mind Institute. The decision to medicate your child for Attention Deficit/Hyperactivity Disorder can be a difficult one. I have met many parents that do not want to medicate their child. These parents search in hopes of finding non-medication alternatives that may be able to help their child cope with ADHD. If you want to know more about those alternative methods, click here. For most ADHDers, treatment with non-medication options are not enough. Although non-medication alternatives are important, the best way to treat ADHD is with a combination of non-medication options, as well as medication and psychotherapy. Trouble communicating thoughts and feelings, hopelessness, poor self-esteem, and depression, increasing the risk for suicide. Increased risk of being involved in auto accidents. Attention Deficit/Hyperactivity Disorder (ADHD) is becoming more recognized and more children are put on medication every day. There has been talk in the national news about whether or not we are over diagnosing and/or over treating ADHD. Some providers will medicate children without trying other non-medication options, and some are quick to diagnose ADHD without a thorough evaluation. Some kids are medicated when they should not be, but many kids are medicated because they NEED to be. ADHD children are medicated to help them control the symptoms of ADHD that interfere with everyday life in social, recreational and school settings. A child that has trouble paying attention, trouble sitting still and can’t stop talking is going to have difficulty in school. A child that is frequently invading other people’s personal space and frequently interrupts conversation is going to have trouble with friends and other relationships. A person that can’t focus enough to complete a task or assignment is going to have trouble learning, regardless of their intellect. With all of the challenges that ADHD bring, these children will have trouble reaching their ultimate potential without the help of medication. All facts and statistics obtained from the National Alliance on Mental Illness/NAMI. Check out this great article, “When ADHD Goes Untreated” from a leading expert on ADHD and disruptive behaivor disorders at the Child Mind Institute. Another encouraging article that supports medication is “Free to Enjoy the Life He Deserves” found on a great website for ADHD, ADDitude. So, as you can see, not treating ADHD can have devastating results. For all of you parents out there that don’t want to medicate your child with ADHD, I feel your pain. As a Mom that has been through the struggles of diagnosis and multiple treatment options, I understand your hesitation. I too resisted the diagnosis of ADHD for my son. How could this sweet little boy, that could sit for hours and read, and was so incredibly smart have ADHD. But, how could this child that ran or spun everywhere he went, was unable to sit still through a meal, and looked at everything along the road on a bike ride besides the road NOT have ADHD. After lots of educational, psychological, and other tests, my husband and I realized that our child did indeed have ADHD. The decision to medicate him was not an easy one. Just as the mom that wrote the above article “Free to Enjoy the Life He Deserves” expressed, I didn’t want Joshua’s static to interfere with the rest of the world recognizing that he is such an interesting, cool kid. When I first medicated Joshua, I didn’t know about all of the information and statistics that I have listed above. I just knew that this highly intelligent child would never meet his full potential if we didn’t help him filter out the distractions. This was going to take medication. So, what medication works best, you may ask? Stimulants work best for ADHD. There are some non-stimulant medications also, but they do not have a reputation for helping the symptoms as well as stimulants. There are more than half a dozen different stimulants to chose from, and each one works differently for different people. 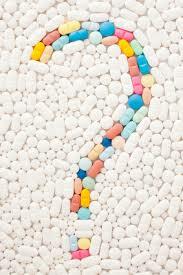 It took 4 different medications and almost 2 years before we found the right medication for Josh. Managing his ADHD is an ongoing battle, just giving him a pill every morning isn’t a quick fix. When he is off his regular schedule, his sleep schedule is altered, or we let him eat things he shouldn’t (like artificial food dyes) things are more challenging. Focusing on the alternative non-medication treatment options are just as important as the medication. And, then there is the occasional trip to the psychologist just to keep us all in check. Parenting an ADHD child takes a lot of patience, persistence, and dedication. It is not easy, but then again, parenting isn’t easy. I’m convinced that the effort and hard work that my husband and I have put into raising our ADHD child will pay off in the long run. I keep telling myself, and Joshua, frequently, that he is destined for greatness! It’s my job as his mom to help him reach for the highest stars! Sure, we will hit a few speed bumps along the way, even a few mountains that we might have to move, but all in all, we got this!! Previous postReading makes you smarter… No doubt about it!